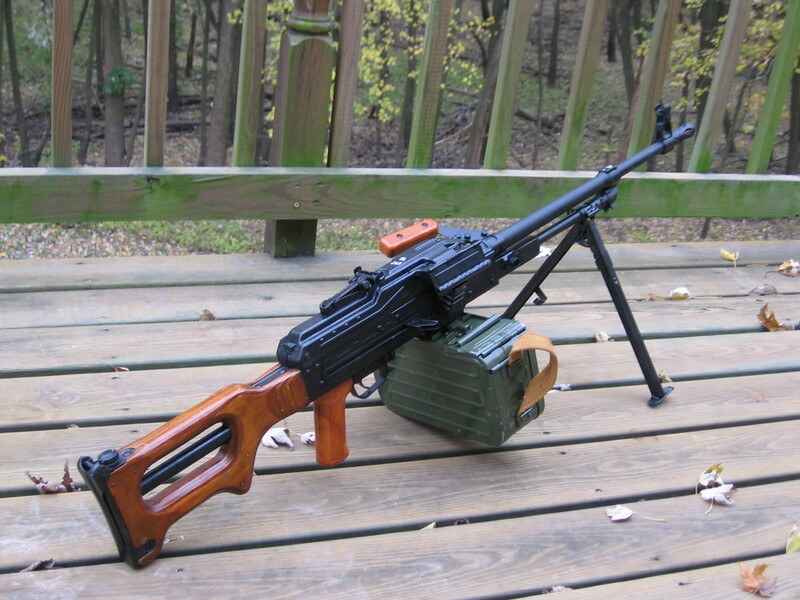 The PK is a 7.62 mm general-purpose machine gun designed in the Soviet Union and currently in production in Russia. 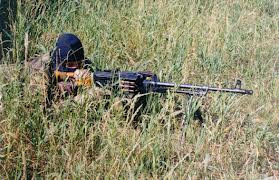 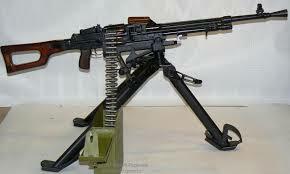 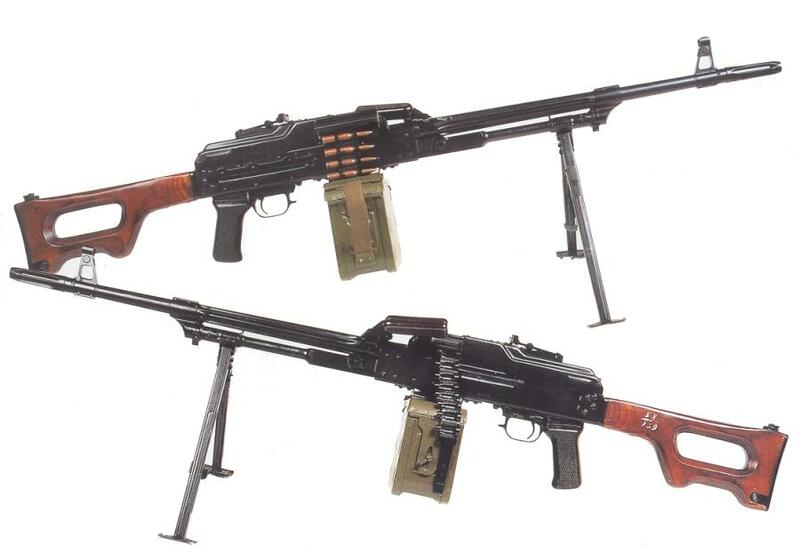 The PK machine gun was introduced in the 1960s and replaced the SGM and RPD machine guns in Soviet service. 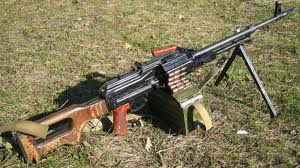 It remains in use as a front-line infantry and vehicle-mounted weapon with Russia's armed forces, and has been exported extensively. 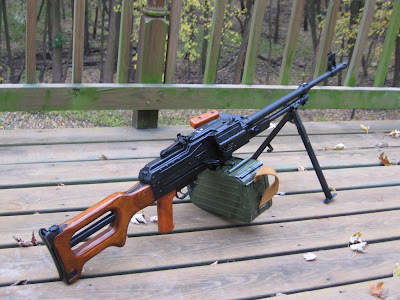 The original PK (Пулемёт Калашникова: Pulemyot Kalashnikova, or "Kalashnikov's Machinegun") was a development of Kalashnikov's automatic rifle design, firing the 7.62x54mmR Eastern Bloc standard ammunition originally from the Mosin–Nagant. It is equipped with a simple bipod and is designed as a squad-level support weapon; it is also suitable for installation and vehicle mounting. 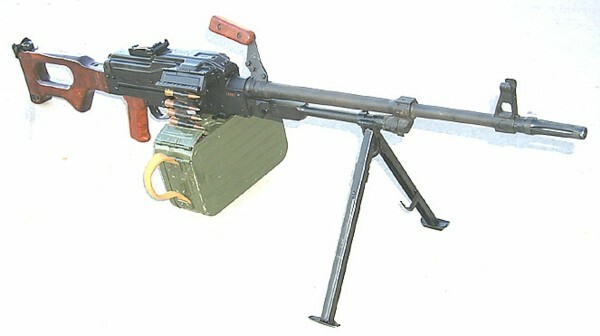 The PK machine gun can be used as a light anti-aircraft weapon when it is put on an AA mount. 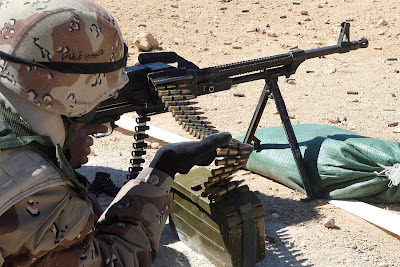 Most are belt-fed, using linked 25 round belts. These 25-round belts can be linked to any length necessary. 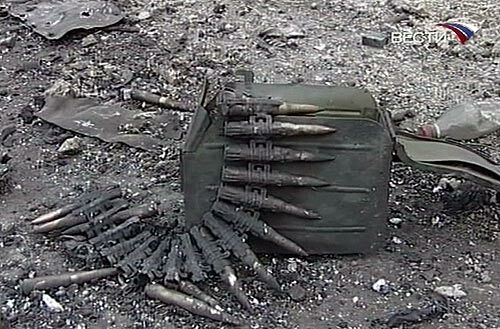 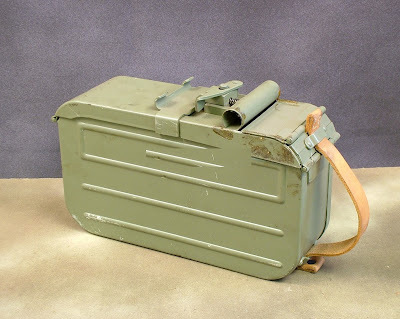 Typical of Soviet machine guns, the standard model feeds from the right and ejects its spent cases via an ejection port on the left side of the weapon, contrary to the right side ejection port seen in most Western machine guns.